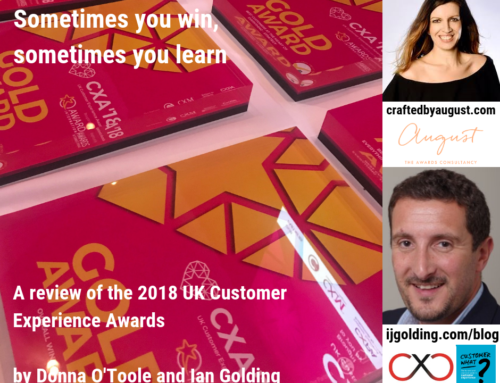 This article was originally written for my exclusive column on mycustomer.com – a hugely valuable and rich resource of information, expertise and inspiration for CX Professionals. You can find the original article here. Unless you have been living in a cave for the last twenty years, it will not have escaped your notice that the world has been undergoing a technological revolution. Much has changed over the decades, but perhaps nothing more so than the ability of human beings to do almost everything quicker and more efficiently as a result of the digital world. Despite growing up without one, I cannot remember what the world used to be like before the mobile phone. I even went on a BBC TV programme in 2012, Turn Back Time, to live as my ancestors did in the early 1900s, to rekindle the experience. Whilst existing without digital was very different, our lives were enriched in so many other ways. There is no doubting that technological advancement has transformed our lives positively on so many fronts. From a Customer Experience perspective, technology has been responsible for almost completely shifting the power of commerce from the supplier to the customer. Shopkeepers in the early 1900’s would never have believed it possible for someone to order a product from a little mobile device and have it delivered to a destination anywhere in the world within just a few hours. If we sit back and reflect on these things, it is quite remarkable. Despite so much progress being made by so many, it is actually quite amazing to see so many large, multi-national organisations still grappling with the digital world. I work with a number of very large businesses who have ‘digital’ as one of their key strategic priorities. It is almost as though the internet has only just been discovered!! These businesses have been merrily observing the world changing all around them, without stopping to consider what these changes might mean for them and their customers. As a result of a lack of ability to ‘move with the times’, many of these businesses are now fighting to try and catch up – hence having a ‘digital’ strategic priority. However, in their haste to catch up, they are at risk of making a fundamental mistake – trying to ‘digitise’ everything!! Last year I attended a thought leader dinner with a technology company. The senior technology leaders around the table represented many large, well known retailers. They were keen to understand how to build ‘better business cases’ to get more investment in mobile devices. When I asked them how these mobile devices would improve their respective customer journeys, few were able to respond. It felt to me as though they were under the impression everything ‘just needs digital’ – but I feel that could not be further from the truth. 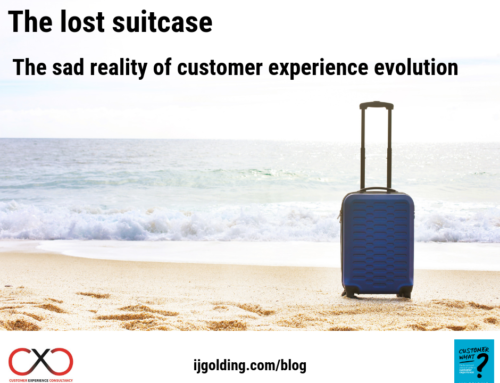 Too many organisations are investing heavily in digital technology without understanding the most fundamental of Customer Experience basics – the customer journey. Everyone involved in investing in digital should be acutely aware of HOW digital technology will better enable business process to improve the customer journey. If that is not known, I would NOT invest in the technology at all. A few weeks ago, I was in Berlin with a client. I could not join them as they went to a restaurant on the first night. When they arrived at the office on the second day, I asked them how their ‘experience’ was. ‘Ok’ was the reply. When they explained why it was just ‘ok’ it brought to life yet another example of trying to ‘over-engineer’ the Customer Experience. They visited a restaurant that had a menu entirely operated by tablet. The menu was displayed on it and all food ordered through it. Sounds quote cool. 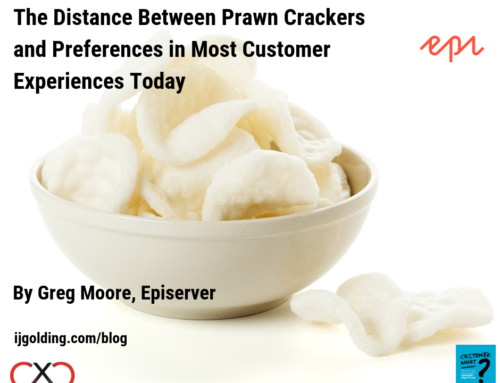 In theory, it should make the Customer Experience quicker and the restaurant processes simpler and smoother. That is in theory. In reality, the tablet was not designed very well – with a group of 10 people ordering, certain items were selected more than once and the ‘app’ could not cope with the demand. The result was that the tablet took the order incorrectly and the wrong food was delivered. The restaurant blamed the customer for using the tablet incorrectly – they rather missed the point!!! In a world where technological advancement is likely to continue unabated, we must NEVER forget that all experiences require PEOPLE to participate in them. Digital is NOT the answer to everything – although aspects of it can undeniably make our lives considerably easier. Amazon are perhaps the world biggest and best example of simplifying the customer journey through innovative (yet simple) technology – yet it is people that underpin their very ability to do what they do. 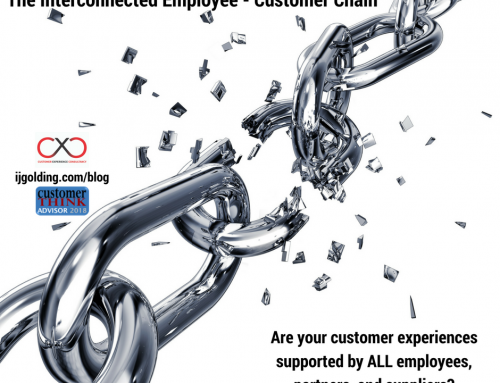 We must use technology where it can have a demonstrable effect on improving both the Customer AND Employee Experience – if it will not improve the experience then maybe, just maybe, we might not need technology for everything! I think that “mobile” is an answer to more than digital!